This multidisciplinary volume presents a refreshing new approach to environmental values in the global age. it investigates the challenges that globalization poses to traditional environmental values in general as well as in politics and international governance. Divided into five parts, the book investigates how environmental values could be reconceived in a globalizing world. Part I explores contemporary environmental values and their implications for a globalizing world. 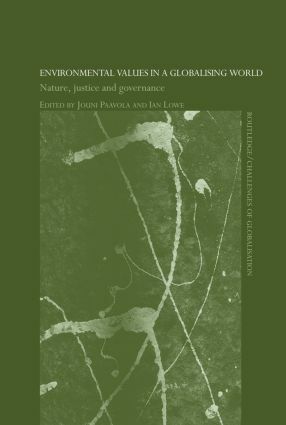 Part V concludes the volume with two different views of the prospects of environmental values in a globalising world. This study will be of great interest to students and researchers studying the environment in philosophy, political science, international relations, international environment law, environmental studies and development studies. Globalisation and the environment: endgame or a ‘new renaissance’?